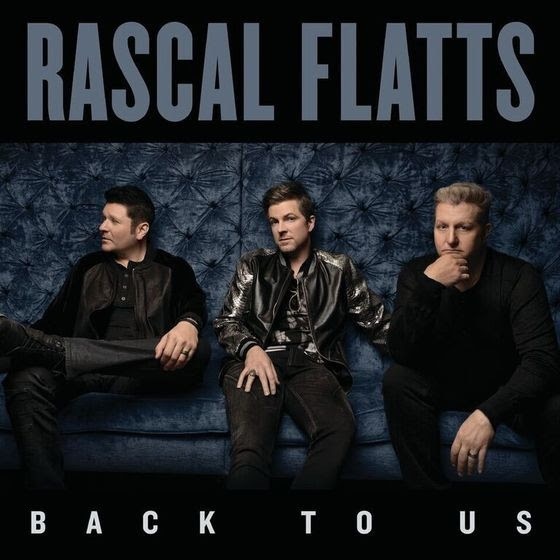 Rascal Flatts has revealed the track list for their tenth studio album Back To Us. The trio will release a 10-song standard album to all retailers May 19, while a 13-track Deluxe edition is available now for pre-order exclusively on Amazon. With 12 of the 13 songs produced by the group and spearheaded by bassist Jay DeMarcus, the album includes a collaboration with Lauren Alaina, “Are You Happy Now,” a tune penned by Dan + Shay, Cary Barlowe, and Jesse Frasure, “Hopin’ You Were Lookin’” and the Chris Stapleton-Luke Laird penned “Vandalized.” Producer busbee also contributes a track he wrote and produced, “Hands Talk” to the deluxe album. Rascal Flatts will perform the album’s lead single, “Yours If You Want It” at the 52nd ACM Awards live from Las Vegas on April 2 on CBS.